Running keeps you Healthy & Fit. Who does not want to be healthy and fit? Everybody does. But, only a few can take the decision instantly to make the change and lead a healthier life. 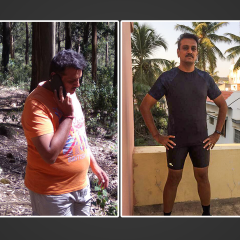 Girish Narang is one of those few guys who one fine day decided enough is enough and decided he needed to get fit and healthy and control his sugar levels. Here is how he did it. Let’s hear it from him…. I head Equities for a foreign bank. My office starts at 8.30 am and till 4 pm (when the market closes) it’s too much pressure to deal with. And after market hours, it’s time for client meetings. You invariably are clueless about when you day is likely to end. These work hours over a period of time had taken a toll on my health. Over and above that, I have always been overweight and a foodie. 5 years ago I weighed 102 kgs. My fasting sugar levels had gone up to 330. The result of this was that I could not even walk for one Km (mile). I was so unfit and unhealthy. I tried few dieticians and other things to reduce weight but, I got limited success. 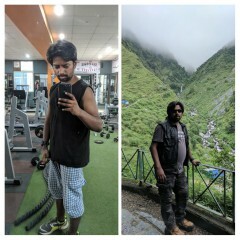 I also did go to the gym and managed to lose some weight. That was not enough, though. I was on medication. I will not say that GOQii was like eureka moment for me. 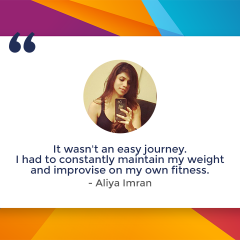 But, then when I got into that momentum of losing weight and trying to exercise it helped me a lot and brought about a lot of clarity in my concepts regarding fitness, diet, sleep, water etc. Prior to GOQii, I got introduced to the pedometer and its functions through Stepathlon that was conducted in our office. It’s during this time that I started tracking steps and consciously started thinking that every step counts. The pedometer was an awareness for me. Even though you were not working out in the gym you can make a difference by bringing about some small lifestyle changes. That’s how things started for me. I was seeing some success and my sugar was getting controlled and then I decided to go in for GOQii in 2014. I was mentally prepared that every step counts and when I was told about the GOQii concept and what it does beyond just counting steps, I realized that it is a natural extension of what a pedometer does but, with a specialized coach who is in constant dialogue with you and telling you what is to be done and how it is to be done. The coaching factor appealed to me as there was someone constantly going to be there to keep a check on you and make you feel guilty about not being sincere towards your health and fitness. My health goal when I got on board GOQii was to lose weight and control my sugar levels. Just as I started working towards these goals, I resolved to pay attention to my food choices and started tracking my meals as well. The step count and other numbers helped me see how far I needed to go and having access to my data and seeing how that impacted my health helped me a great deal. Then, one day I saw my colleagues preparing to run the marathon. I found it intriguing that people are running 10km, 21 km, and 42 km. Initially, I felt these guys are crazy running so much. But, that thought stemmed from my own inabilities to be able to do something like this. I decided to just try once to do a long run. 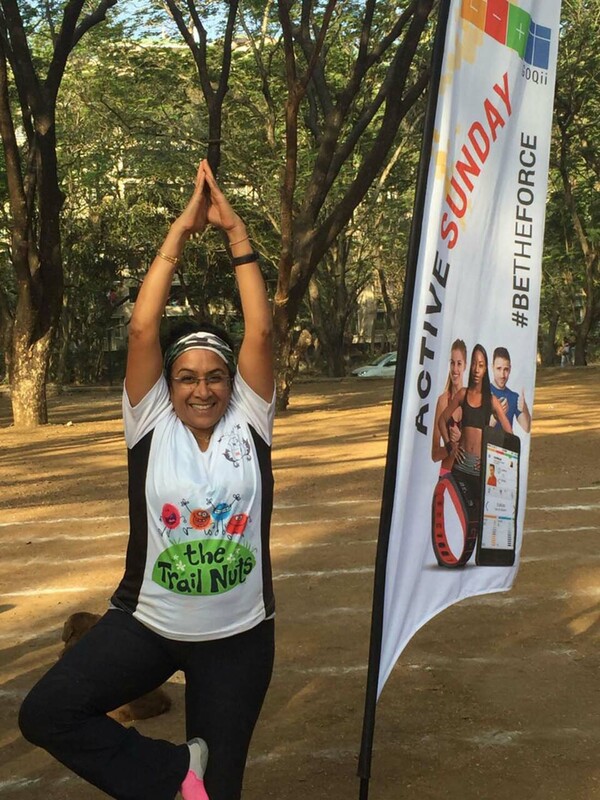 Running a marathon became my subconscious goal. My initial plan was very simple. It was a small start. But, as I slowly started enjoying running and noticed the increase in stamina and my ability to run, I realized I could push myself further. I started training for a 10km, and that really opened things up for me. Now, I’m running longer distances like a half marathon. 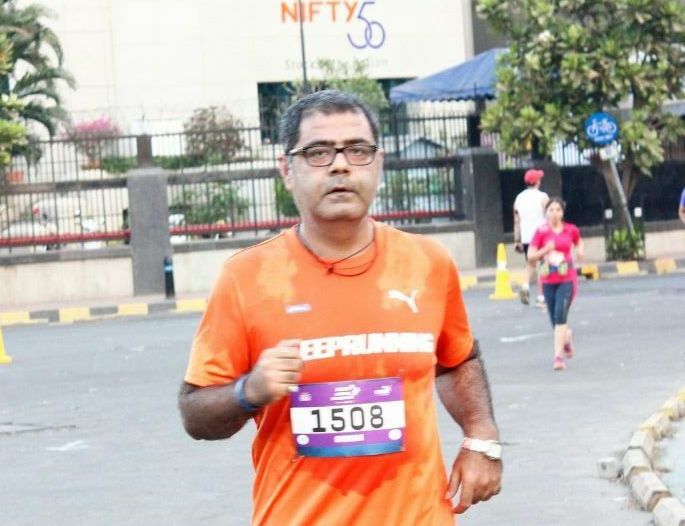 2015, I ran my first Standard Chartered half marathon and in 2016, I ran for the second time the Standard Chartered Mumbai marathon. Now it’s been 2.5 years since I have started running seriously. And, this season I will do every run that I can. From not being able to walk even a km (mile), I feel great now about being able to do long distance runs. After having run marathons, I also for the first time pushed my limits to do the 100 km Oxfam Trailwalk in November 2015 and I completed it. This was a big high. The 100 km walk was an eye opener for me. It was no mean task to walk the 100 km that went through tough and smooth terrains. My shoes also gave away. My feet were swollen from the top and had blisters beneath. I had learnt to treat my blisters and continue my walk. And, I managed to complete the walk with my team. When I finished the trail walk, the first question I was asked by my shoe benefactor “how did you complete it in those shoes”. It seems he was sending messages to people to stop me since those shoes would really hurt my feet, thanks to the phones not working most of the times the messages got delayed and I had already moved ahead. It was such a great moment to see somebody happier than myself for having completed the challenge. Thanks to GOQii I have been able to do all of this. The coaching factor has helped me a great deal. Today, I am free of all medication. I just take one tablet for Sugar control. For the last one and a half years my sugar is under control. It’s is around 95-108 down from 330. My Cholesterol is under control and my weight has come down to 83 from 102 kgs and I have been maintaining it. One thing I have realised over a period is that running does not help you lose weight. Weight training helps you lose weight. Also, you don’t become overweight overnight, and you don’t lose weight overnight either. It’s a long, slow journey. And if you want to be successful, you need to change your lifestyle—that takes time. Now, I make sure that I workout at least thrice a week. I have also managed to pick up newer activities like outdoor cycling and Golfing. I am feeling extremely good about myself and I have become some kind of a fitness guru to my colleagues as well. My family thinks I have become more arrogant. From being the least fit person in the family to being very fit now my confidence is soaring and I feel great. It’s not an easy journey, but I can do things now I never could have done 3 years ago, and that’s a great feeling. I am continuing with GOQii. What does Coach Vrushali Athavale have to say about him? Girish is a dedicated and self-motivated player. His health goal was clearly to reduce weight and bring down his sugar levels. He was very active but, his meal pattern, water intake and rest was not adequate for the amount of activity he was doing in a day. So we worked initially on the normal food guidelines like having a heavy breakfast, light lunch, dinner needs to be light as well. Also, I worked towards helping him eat smaller meals and more frequently. Water intake was not enough so got him to start drinking 3 liters of water daily. And lastly, a proper combination of cardio and weight training was a must for him. Girish worked on all these factors and we have been successful in achieving our goals.